To determine the main geometries and masses of your BoltTensioner, only the outer diameter of your bolt thread is needed. If you should not find your thread, please choose a thread from the list that is similar to yours. We will manufacture your BoltTensioner according to your specification (e.g. MF, UNF). The required axial bolt force is determined by your application. When using a bolt tensioner, it is necessary to increase the max. tensioning force compared to the finally required acial force by app. 25% due to setting losses. If you need the full bolt load bearing capacity, you should consider using smartTensioner HydraulicTensioningNuts (HTU). The maximal stroke descibes the max. 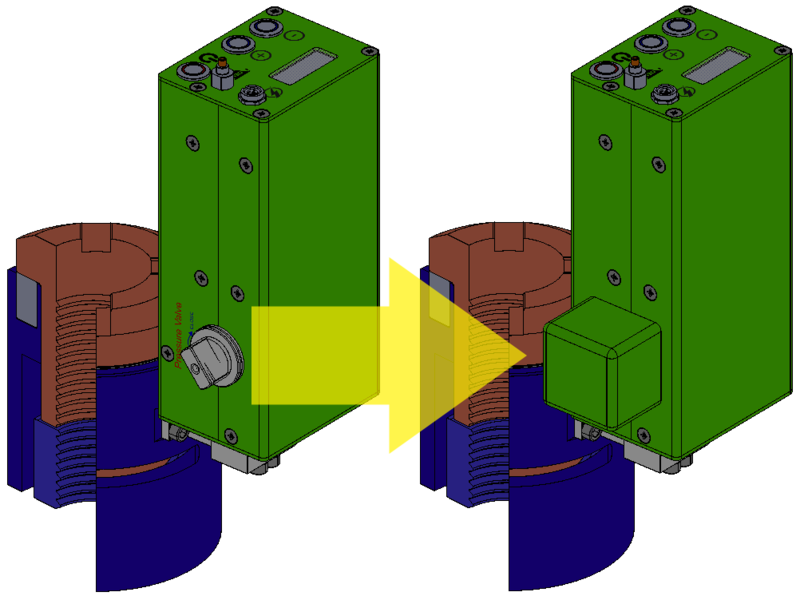 movement of the BoltTensioners piston. It should be sufficient to cover setting effects in the flange conatct surfaces as well of plastig behaviour of the sealings. Especially hollow metal sealings require some way. We recommend to use our automatic PistonStrokeLimitation (see opotions below) to avoid excessing the max. stroke. The maximal diameter of a BoltTensioner depends on your application and your tensioning process: Especially when tensioning 100% bolts at once, the BoltTensioners stand very close together. The contact pressure between the BoltTensioner and your application should be monitored carefully. If it is too high, the surface of your parts might be damaged. If you provide us with information about the material of your contact part (e.g. flange), we will be happy to assist you. If the contact pressure is too high but the diameter can not increased anymore due to geometric restrictions, we will mill the spacer on both sides. This allows low contact pressure in combination with 100% tensioning. After reaching target pressure and the max. axial bolt force, the nut is turned manually using a torque wrench turning the integrated 1/2" shaft adapter. The gear drive has been designed for rough and difficult environments allowing to loosen even rusty or dirty nuts. The adapter shaft and the gears are made of high grade steel. The maximum torque applying to the nut, depending on the thread size, is about 300Nm. Using a cordless nutdriver is also possible. 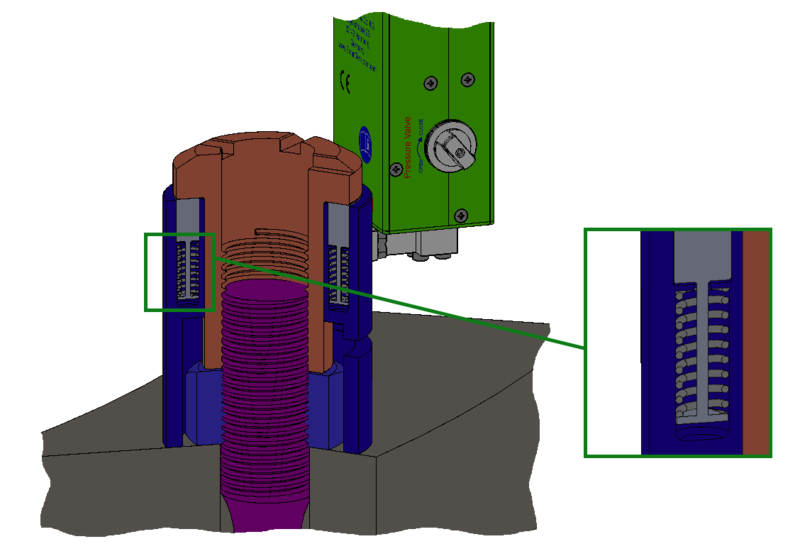 After reaching target pressure and the requested axial bolt force, the nut is turned manually using a tommy bar and the integrated nut adapter that encloses the hexagonal nut..
After reaching target pressure and the maximum axial bolt force, the nut is turned automatically by an integrated high-torque motor. Controlled by the integrated pump, the Automatic NutGearDrive allows operating the whole tensioning and de-tensing process without any manual interaction. In addidtion, during the tensiong process the nut is stepwise tightend while the pressure is slightly realeased. This is the fastest way to tension a bolt and to get the lowest setting losses. More information is available on request. The gears are made of high grade steel. If the provided motor torque should not be sufficient, an additional 1/2" shaft adapter allows turning the nut with a wrench. 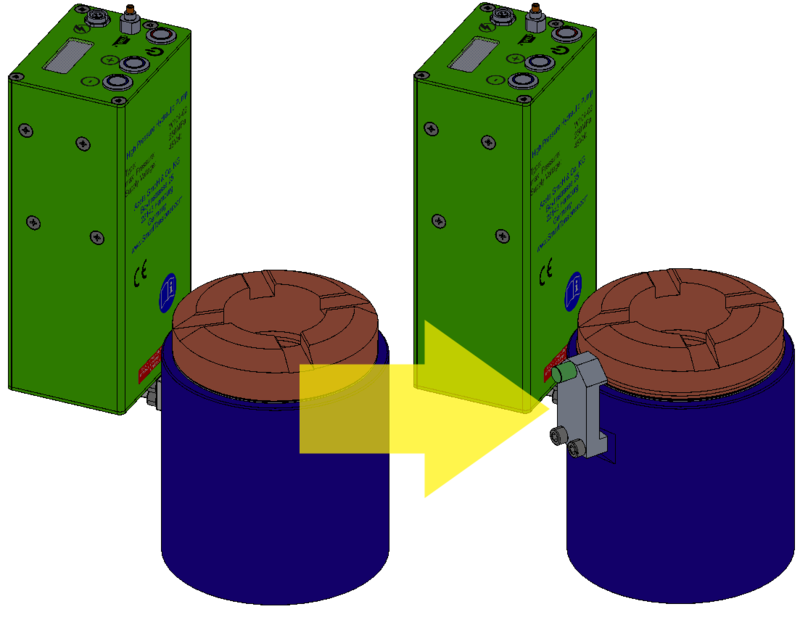 After use, the piston of the BoltTensioner might not be in it's initial position. It therefore needs to be pressed back using an appropriate press, e.g. with a plain vice (not included). We only recommend this option for seldom used tensioners. Since all smartTensioner BoltTensioeners feature an integrated pump, the overall amount of oil in our hydraulic systems is very low. This allows us to use integrated springs to automatically pull the piston back in it's initial position after use. This system does not need any manual interaction. The BoltTensioner is always ready to use. For bigger tensioners or tensioners with long stroke, we recommend our HydraulicPistonReturn-system. 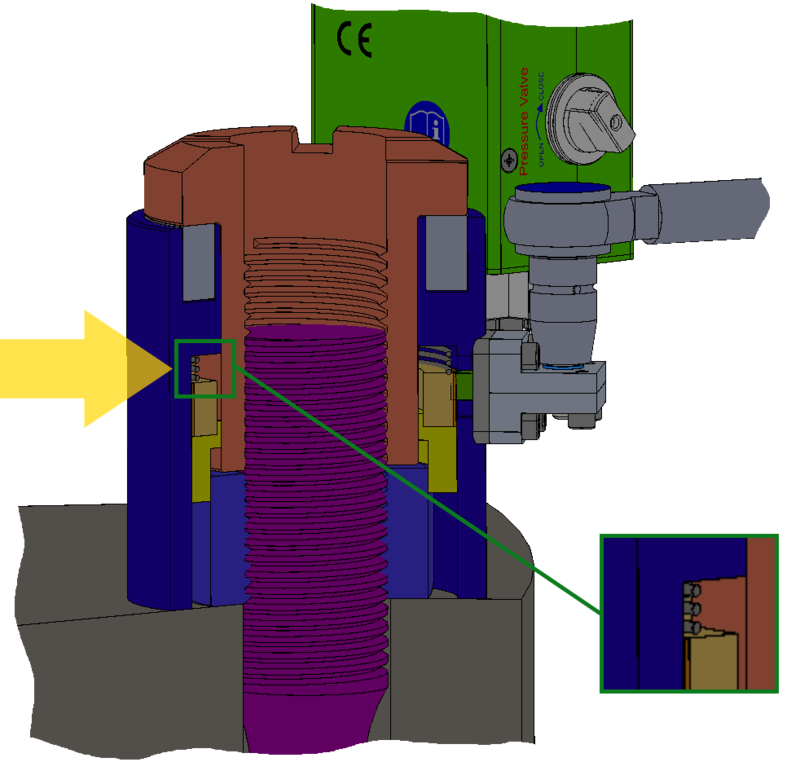 After manually operating an integrated valve, the pump is used to press the piston back in it's initial postion. More information available on request. Our smallest pump recommended for threads up tp M36 / 1 1/2". Weight: 1.5 kg. All pumps include a sophisticated torque-motor in combination with a pressure sensor. The maximum pressure (correspinding to the maximum bolt force) can be adjusted. In operation, the pump display shows the current pressure. 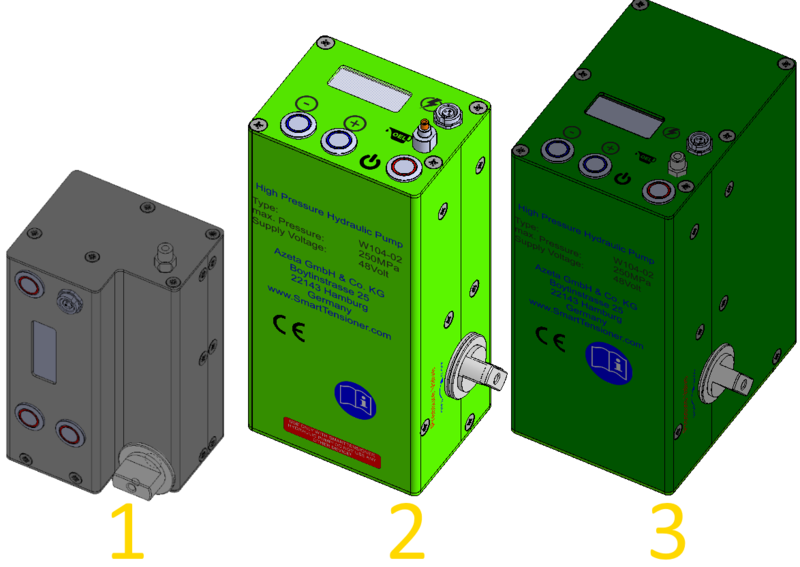 The pump functions can be controlled using the integrated panel or an external, weireless control device with the smartTensioner Software. Our medium pump recommended for threads up tp M72 / 3". Weight: 2.5 kg. All pumps include a sophisticated torque-motor in combination with a pressure sensor. The maximum pressure (correspinding to the maximum bolt force) can be adjusted. In operation, the pump display shows the current pressure. 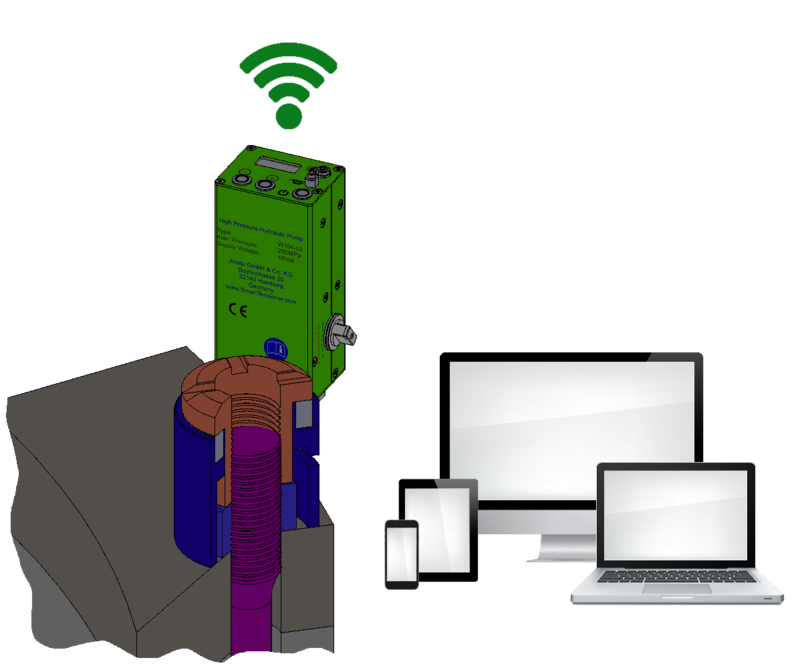 The pump functions can be controlled using the integrated panel or an external, weireless control device with the smartTensioner Software. Our biggest pump recommended for threads bigger than M72 / 3". Weight: 4.0 kg. All pumps include a sophisticated torque-motor in combination with a pressure sensor. The maximum pressure (correspinding to the maximum bolt force) can be adjusted. In operation, the pump display shows the current pressure. The pump functions can be controlled using the integrated panel or an external, weireless control device with the smartTensioner Software. 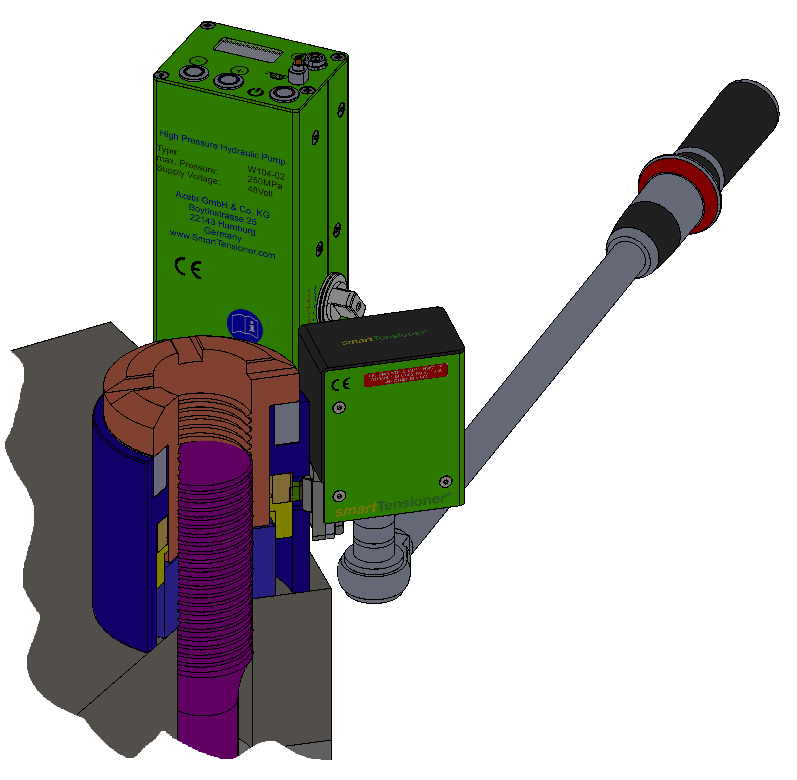 The AutomaticOutletValve allows operating the pump pressure valve automatically or with our (wireless) pump control software. It is very useful if at some point during the tensiong process the individual BoltTensioner pressure needs to be reduced, e.g. for tensiong many bolts at once in certain pressure steps. 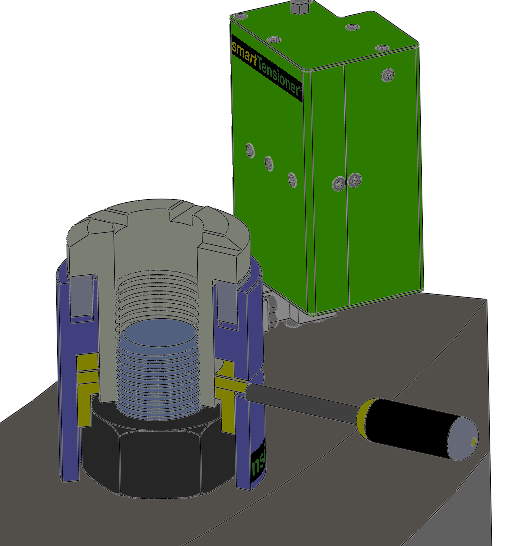 The AutomaticOutletValve is required for fully automated bolt tensioning. The NutAdapterSpring allows to mount the BoltTensioner in any position of the hexagonal nut. 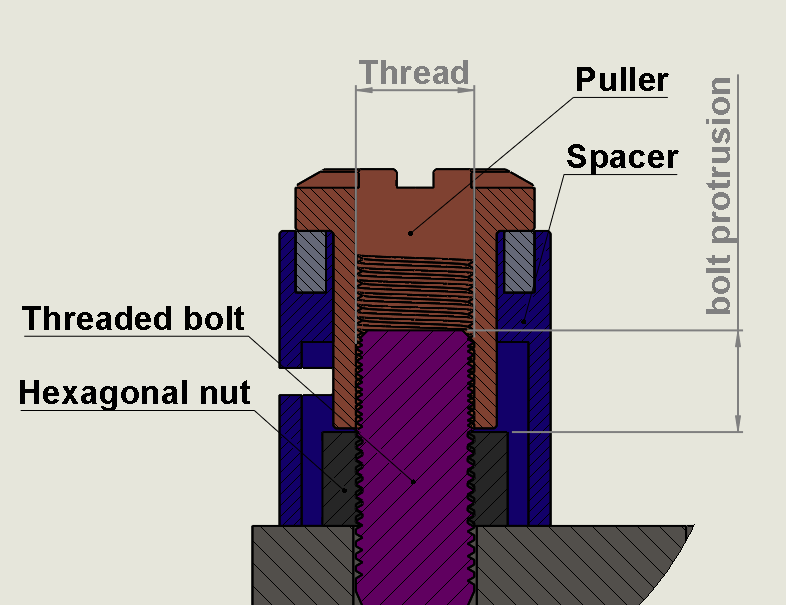 If the nut adapter should not match the nut, it is shifted upwards. After the turnimng the adapter, it will glide on the nut supported by a spring. 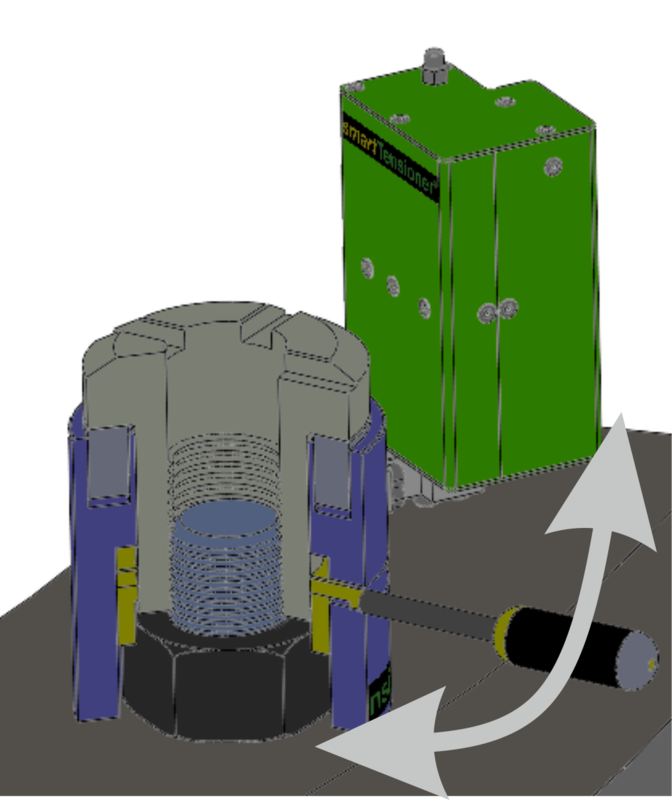 The PistinStrokeLimitation is a strongly recommended feature: If the piston should be moved beyond it's allowable stroke, it might leave the cylinder. With smartTensioner, this is not dangerous situation because the amount of compressed oil is very low and no elastic components (hoses) are used. However, pressing the piston back will destroy the sealings. The PistonStrokeLimitation automatically stops the pump when the piston has reached it's max. position. Our pumps can be operated by a small panel on the top of the pump. However, using several pumps at once is easier using our smartTensioner pumpControl-Software: Available on a tablet PC (included), it allows controlling all pumps at once and synchronizes the pumps against each other to ensure even force distribution. More information available on request. BT: The puller is drilled hollow. The protrusion of your bolt above the nut is not limited. 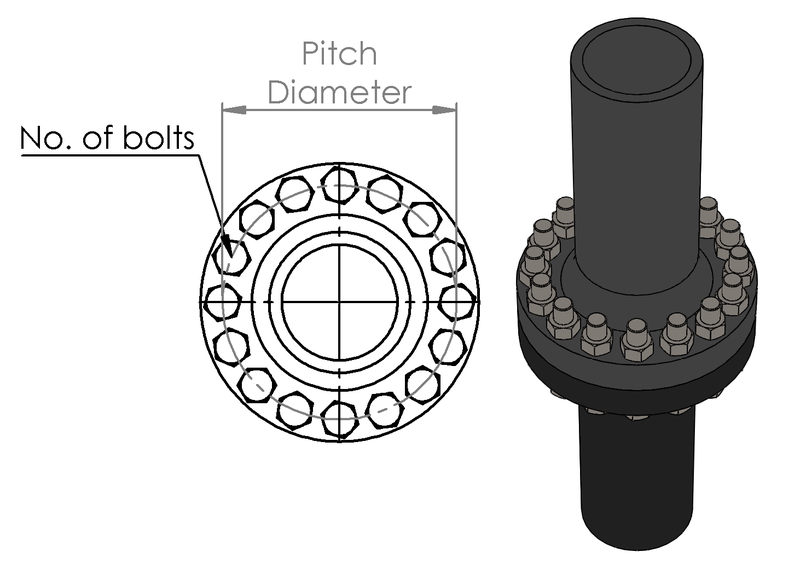 The higher the required bolt force, the wider the diameter. CFBT: Tensioner designed for narrow situations, e.g. on CompactFlanges. The puller is massive and limits the allowable bolt protrusion (protrusion = thread diameter). It allows smaller diameters. In some cases, we use two stage cylinder. 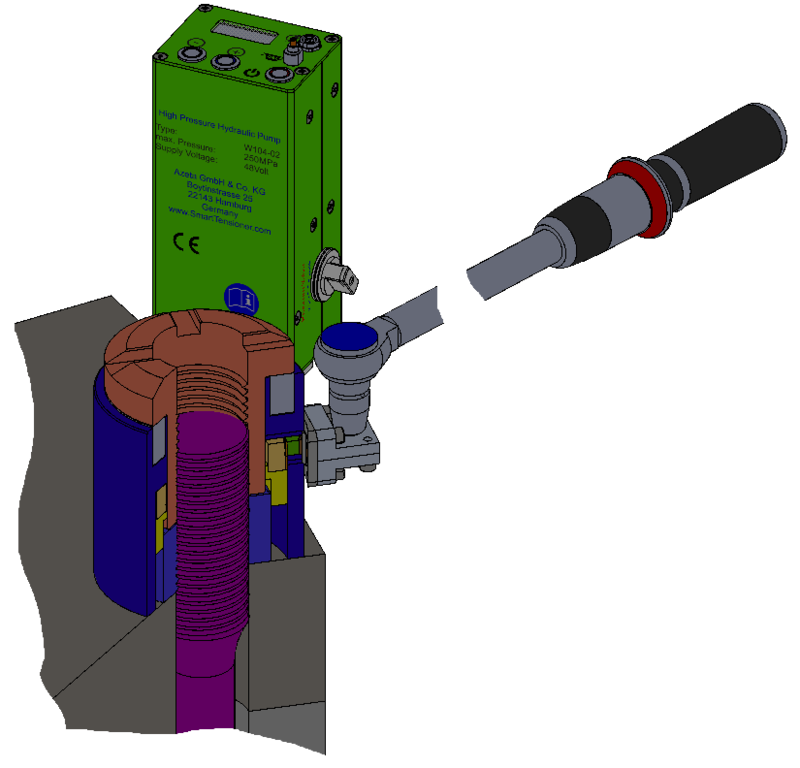 BT and CFBT can be configured individually - from a simple tensioner to sophisticated tensioning systems that include Automatic NutGearDrive, AutomaticOutletValve and PistonReturn. In combination with our smartTensioner Software, it allows fully automated tensing and detensioning of many bolts at once. iBT: The iBT offer the same functionality as fully equipped BT/CFBT, but they are more integrated and therefore smaller and lighter.Perfect for tight situations, e.g. wind energy, and subsea projects. Estimated, overall height of your configured BoltTensioner including pump. Total weight of your configured BoltTensioner including pump and oil. Estimated time to reach max. pressure and target axial force depending on the selected pump. Input Data and press "Generate 3D Modell" to generate a 3D Model of your BoltTensioner. 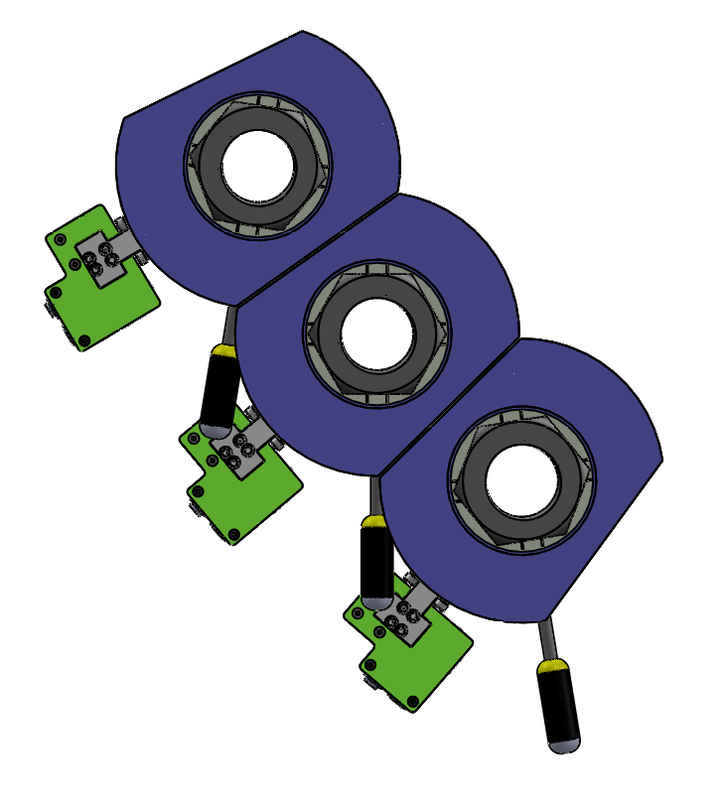 This simplified model shows your configured BoltTensioner. It includes the choosen features and options, e.g. HydrualicPump or NutGearDrive. Use the options menu on the left side to change your configuration. All BoltTensioners are manufactured individually according to your specification. Our workshop is specialized on tensioning equipment, with very short ways from the design tables to fully automated CNC-maschines. Result: short delivery time and good prizes.